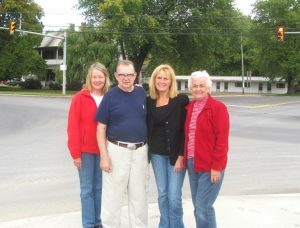 The adult children of Esther Pipher, (above, from left) Sally Allis, George Nesbit, Sue Wheeler, and Doris Brown, sat down over coffee at Pipher’s Bar on a morning in October 2015 and reminisced about growing up at the Wysox Motel and Pipher’s Trailer Park on the opposite corner of the intersection of Routes 6 and 187 (behind them). 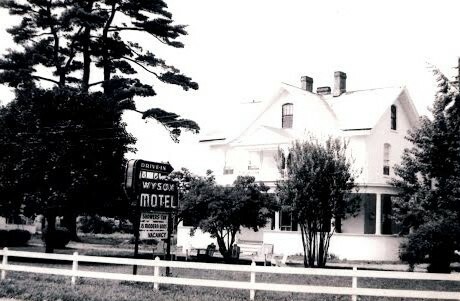 The hotel is shown at top as it appeared in the 1950s and ’60s. 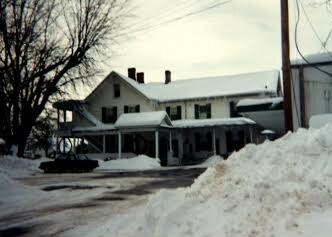 In 1953, Edwin and Esther Pipher bought a white house at the northwest corner of the intersection of Routes 6 and 187 in Wysox Township. The early 1800s structure had once been home to the Piollet family, who later built the larger and better known Piollet Mansion that is currently a Dandy Mini Mart. The older house had been vacant for a number of years and needed immediate work. The family installed new bathrooms and a new well and had the electricity rewired. Edwin had been running Pipher’s Bar since the late 1940s and saw the potential to expand the family’s enterprises to the new property. With the help of local mason Manley Chapman and his step-son George Nesbit, Edwin built a small strip motel and then enlarged and remodeled the house. 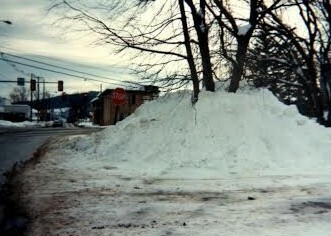 “It was winter,” George recalls of starting the construction project. “I mixed the mud, and I wore gloves. Manley didn’t. He said that his hands never got cold.” Chapman was friends with Edwin’s mother, Hila Pipher, whose husband Charles Pipher had built Pipher’s Diner and Pipher’s Bar and ran the bar until his death in 1947. There were initially six units in the motel, one of which became the motel office after a phone was installed there. The renovation of the house provided 13 additional units to rent and room for the family to move from Edwin’s and Esther’s first home between the railroad tracks and the Susquehanna River. By this time, George was already in the eighth grade. He and his sister, Doris (Brown), were Esther’s children from her first marriage to George Nesbit, Sr. Meanwhile, Edwin had brought Linda (Rowe) into the family from his first marriage, and together he and Esther had two more girls, Sue (Wheeler) and Sally (Allis). With the subsequent opening of Pipher’s Trailer Park behind the motel, there was always plenty for the children to do between helping with the housekeeping and mowing to keeping up with routine maintenance. “We carried suitcases,” Sue added. “But we were not allowed to accept tips.” The girls also took turns with their mother running the switch board. Sally and Doris remember cleaning the Adirondack chairs that were painted bright colors because white was too difficult to keep clean at the often dusty intersection. But chores are only part of the many memories that George and his sisters share from the time they spent there. The motel and trailer park and some adjacent properties owned by the Pipher’s provided a unique playground that sparked the children’s imaginations. In hindsight, George, Doris, Linda, Sally and Sue remember Esther as the tireless worker and Edwin as more of a planner who always seemed to be looking for another project. “He wasn’t great at physical labor,” Sue said of her father’s somewhat hands-off approach to business. 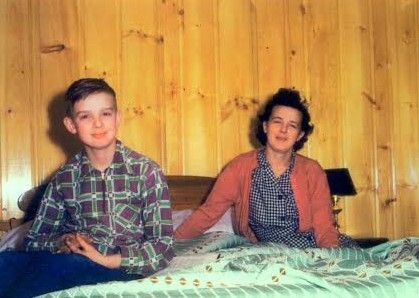 “Mom said that she never knew anybody who was better at making money while doing nothing,” George added. “But you’d better be working when he came home,” Sue laughed. 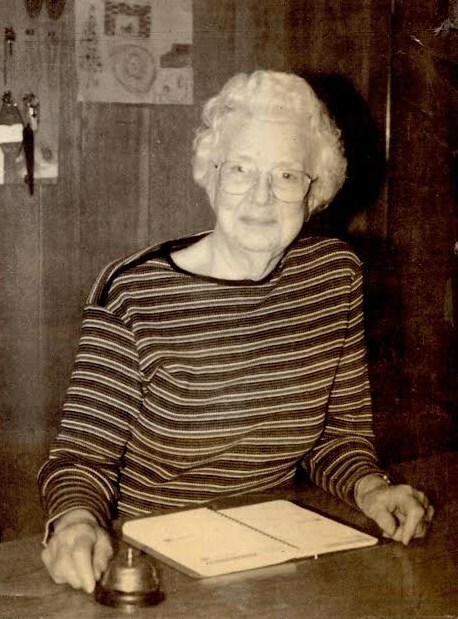 Esther and the children ran the motel with the help of several memorable employees, including Grace Wickwire, Edith Vanness, and Helen Mills. The Piphers also had a live-in helper while the children were younger – Mrs. Leatha Greening. The trailer park was built primarily to accommodate transient workers, most notably laborers involved with the Tennessee Gas Pipeline project of the mid 1950s. Numerous men slept in old school buses that Edwin had converted into trailers. Eventually, a number of families also settled into the park, providing lots of playmates for the Pipher children. “That was a time when there were still air raid sirens,” Sue remembered. “I was trying to get a kitten to follow me home night and came in late and got scolded.” She did eventually lure “Boots” home and adopted the cat as a pet. 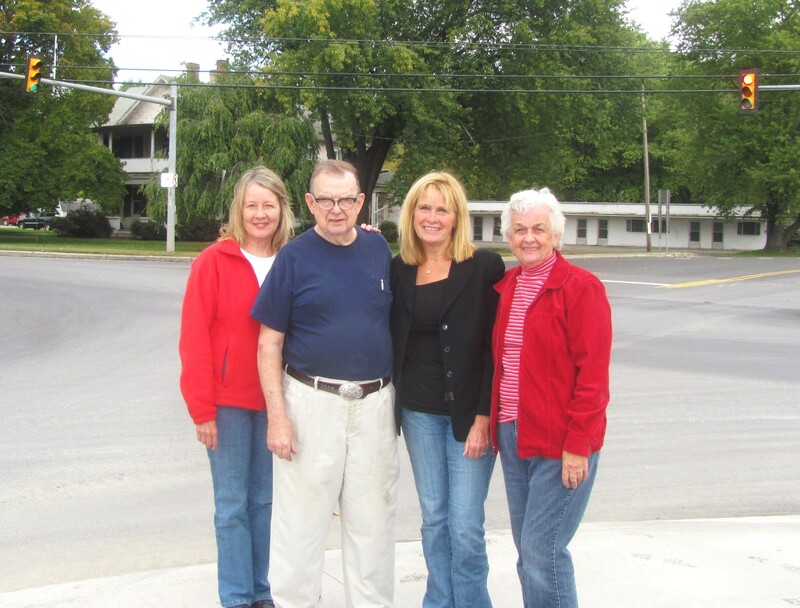 Now adults with children of their own, the Nesbit and Pipher siblings hold fond memories of the business of running the Wysox Motel during its heyday. It was equally exciting for them to meet new people and to greet returning guests, who often became personal friends. Among them were some truck drivers from Massachusetts who made to deliveries to the Masonite plant and stayed there regularly on Thursday nights. “That’s the night that I had to work so Mom could go to bingo,” Sally related. In the summer, the television was moved out to the porch, allowing more tenants to join the family for relaxing evenings. George married Claudia Herbert in the early 1960s. She worked with Esther at the Motel in the mornings and ran errands in the afternoons for George at the bar, working with him there until she passed away in 2006. Esther also helped to clean the bar and worked at both the motel and bar until her death in 2009. But it was The Wysox Motel by which many people would always remember Esther, whether they were casual travelers or long-term renters. Edwin passed away in 1966, after George and Doris had already married and moved out of the house. Edwin’s daughter Linda was also married and resided in Ulster at this time. Sue was later married and remained in Wysox. Sally married and initially moved first into the trailer park in 1975 and then back into the house for a while. Nonetheless, the family stayed close and continued to share the responsibilities of the motel and trailer park and help their mother in any way they could. Doris, who had first moved out in 1961, moved back into an apartment in the house with her husband Ron Brown to help Esther in her later years. “She had too big a heart,” added Doris, who still has records of local people who owed Esther money and never paid her back. “The Wysox Motel became ‘Esther’s Home for the Unfortunate,’” Sally lamented. Pipher’s Trailer Park remains at full occupancy, while there are just three apartments occupied in the Wysox Motel. The strip motel is empty. The entire property is for sale. Sue would like to see the motel restored. Doris would like to see something new built at the intersection. Regardless of its future, the Pipher children felt fortunate that Esther was able to stay in her home until her death and avoid going to any kind of facility. In a 1999 article published by The Daily Review, the then 85-year old Esther was asked how long she intended to run the Wysox Motel. In 1999, Esther Pipher posed for Daily Review reporter Nancy Coleman at the front desk of the Wysox Motel. Esther Pipher (right) and son George Nesbit in the 1950s. 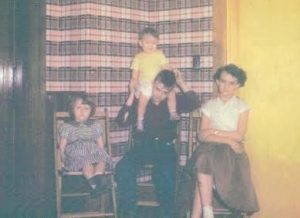 Big brother George Nesbitt holds little sister Sally Pipher (Allis) with Susan Pipher (Wheeler) on the left and Doris Pipher (Brown) on the right in the 1950s. 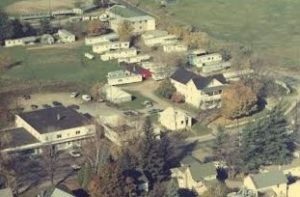 Pipher’s Trailer Park stretches out behind the Wysox Motel (right, center) as seen in the 1960s. The Wysox Motel has weathered many storms through the years, including this snowstorm in the late 1970s or early ’80s that produced a huge plow bank near the intersection fo Route 6 and 187.